A few weeks ago, I went window shopping at H&M in midtown Manhattan. I was browsing through the store and before I knew it, I had picked up a whole bunch of clothes. I love H&M's affordable work selection. 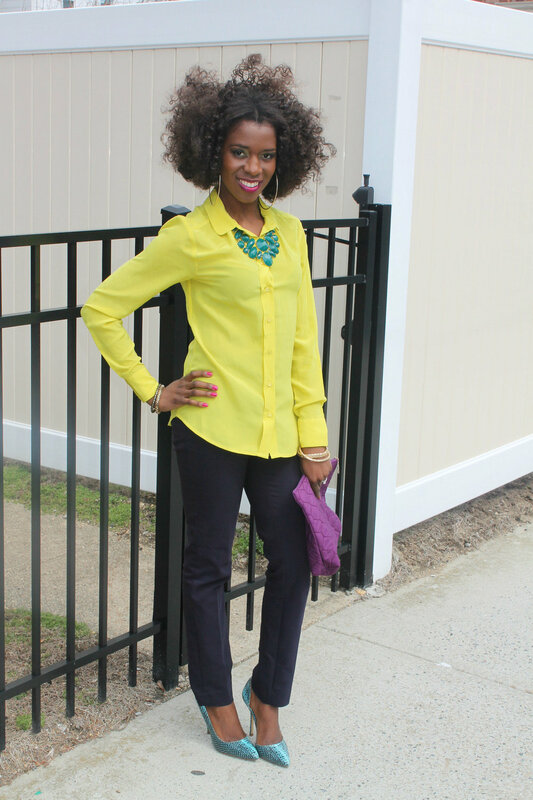 I fell in love with this gorgeous yellow silk blouse paired up with the dark navy blue pants. I have a bad habit of picking out clothes that are not work appropriate so I'm trying to mix up my pieces. What do you guys think of this work look?